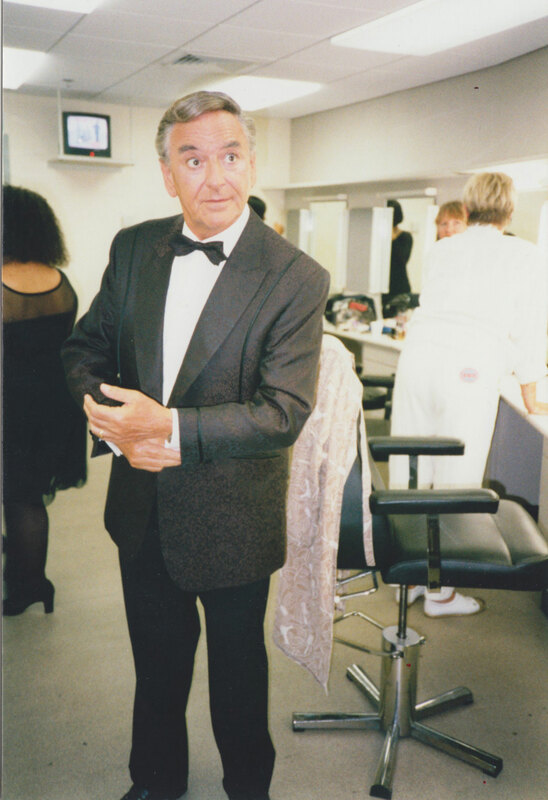 Eric Morecambe was the first of many famous customers that Geoff and the boys have had the pleasure of working with. 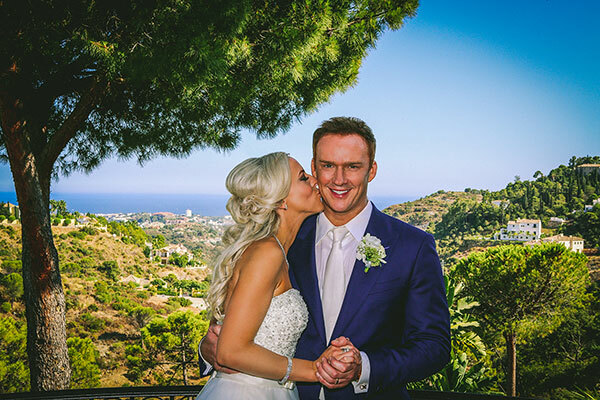 From world-famous singer Michael Bublé, TV stars Mathew Kelly and Lenny Henry, professional boxer Barry McGuigan through to England players James Milner, Joleon Lescott and Joe Hart. 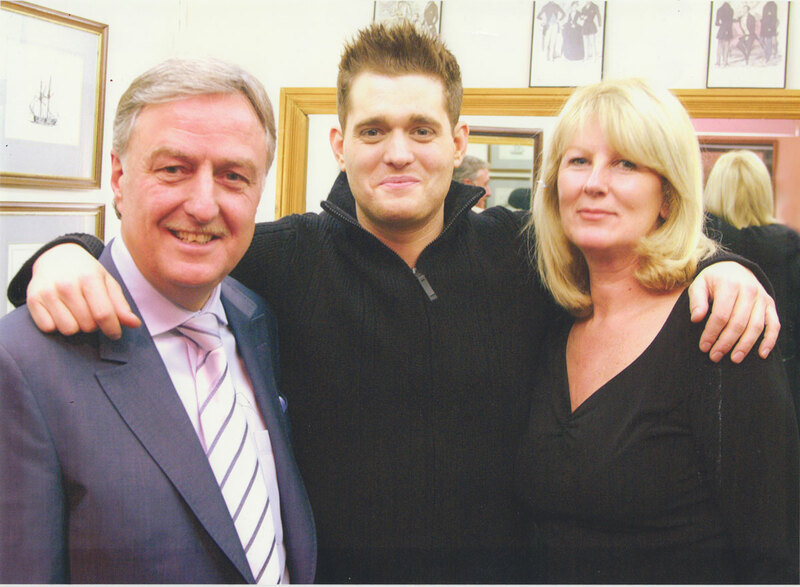 Eamonn Holmes has been a customer for many years and Geoff still has the pleasure of tailoring for him today. 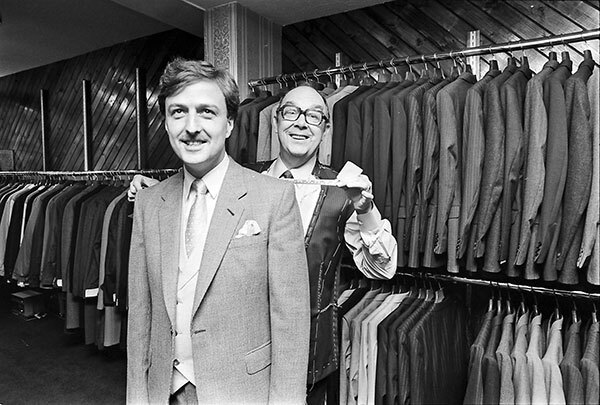 Geoff tailored everything for Bob from the late 80’s until his sad death in 2003. Geoff and Laura went to see Michael Bublé at a small concert at Cafe dé Paris and had the pleasure of meeting him afterwards. Michael commented on how well dressed Geoff was and he explained he was a tailor and was about to open a shop in W1. 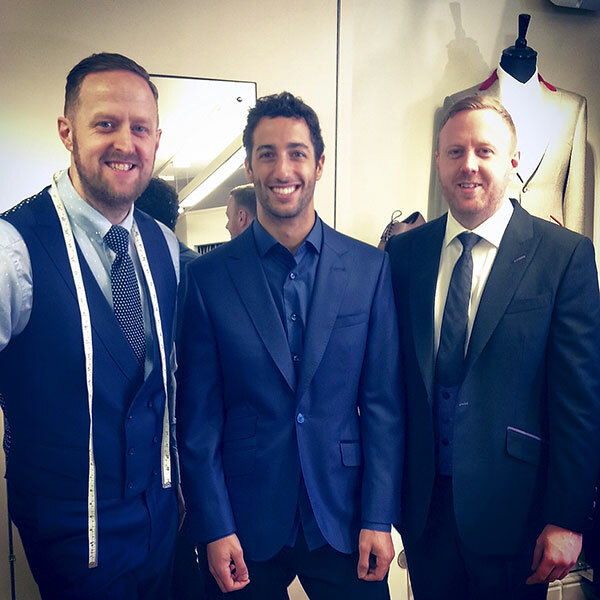 F1 driver Daniel Ricciardo in one of his jackets tailored by the boys in 2015. Russell pictured here on his wedding day in 2015 in a Souster & Hicks platinum label suit.